Spend £100, get a 10% discount! Security and organisation are of paramount importance for any business. But for busy automotive workshops and showrooms with numerous vehicles, estate agents with an extensive portfolio of properties on the books, or any other business – it is an essential requirement to manage keys efficiently and, above all, securely. Experience tells us that secure storage is a critical factor in the efficient and secure management of keys – be they for vehicles or properties. When dealing with multiple keys, and the security they represent, specially designed and secure key storage cabinets are a must. 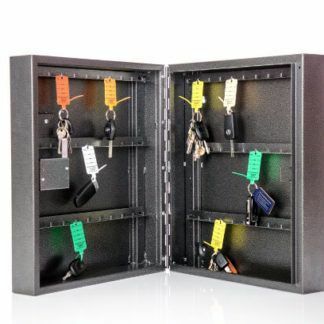 Our extensive range of key storage cabinets is ideal for today’s vehicle keys/fobs and multi-key entrance protection for buildings. Our popular Plus-series of adjustable cabinets – the 60+, 80+, 100+ and the larger 200+ have been specially designed to enable customers to satisfy our customers’ individual key-spacing requirements and adjust them accordingly, as and when necessary. 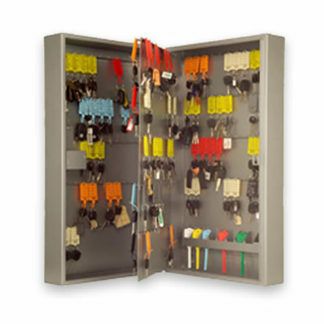 These cabinets are specially designed with widely spaced hooks for large keys and remote fobs. Our diverse range provides solutions for every business’ individual needs – including a selection of replacement and lock upgrade options. We also offer a service for the bespoke restoration, re-configuring and servicing of our Plus-series cabinets. Contact us on 0844 225 0155 to discuss your requirements and to receive a competitive quote.